Thank you for visiting Bastrop AMSOIL! Discover premium American Synthetics. Cut temperatures and save money. Need a quart or a drum? We supply synthetic engine and automatic transmision fluids to everyone. 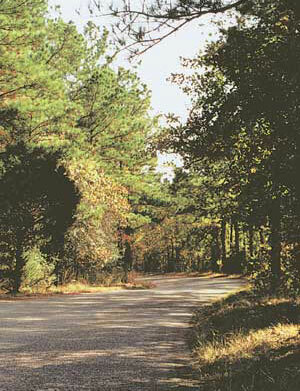 Serving the following areas in and around Bastrop, Texas: Austin, Brenham, Caldwell, Elgin, Garfield, Georgetown, Giddings, La Grange, Lake Travis, Luling, Marble Falls, Pflugerville Round Rock, San Marcos, Schulenburg, Smithville, Also shipping to all areas in the country (drop shipping from 11 nationwide warehouses).. Revolutionary engine and transmission protection. Cooler engine temperatures. Most commented on product. Use in engine and transmission. Lasts twice as long. Everything in stock from Motorcycle, Diesel motor oil, outboard engine and gear, Jet Ski 2-cycle, gear lubes, ATV oils, transmission fluids, tractor hydraulics and all passenger car synthetics. Located in Bastrop right on 71, we are Central Texas's source for your AMSOIL needs. We also have a AMSOIL distribution center in Dallas who supplies us directly so you will most likely find what you need here. We supply the entire Austin area as well. We represent the most determined and professional AMSOIL Dealer group in the US and the top 20 in volume in the US. We can meet any need. We also offer part and full income opportunities in this fast expanding market. Call or continue reading for details. We need a dealer in Austin to help with customer demand. Please contact us and we'll back you with ads like this for your local customers. Also see our dealer opportunities page and info below but know that Texas's AMSOIL demands are increasing! The Austin - Bastrop area is one of the best AMSOIL Markets due to demand and the fact that there are very few dealers handling the area. Between here and Houston - San Antonio (not to mention Dallas to Corpus) there are dozens of fairs and trade shows to market AMSOIL. Why not try to increase your income with a legendary product and system that works? Please enquire or call to order and pick up in any quantity. Austin Texas truck owner can save money with AMSOIL diesel synthetic oils. Change your oil at 25,000 intervals. Ask about the new AMSOIL absolute Efficiency oil filters or the 700,000 mile propylene Glycol Antifreeze and coolant. Please enter the main site for more information or simply call 512-303-2303. Should you have multiple vehicles or need to order frequently, be sure to print and complete the Preferred Customer or Dealer form. This gives you the benefit of ordering direct at the wholesale price while having hard copies of all the materials and our monthly AMSOIL Magazine to keep you updated on our product innovations and offers. AMSOIL P.i. - Money back guarantee! engine deposits, it is a question of how badly they’ve accumulated. Look at our video too explaining this product!! unproven devices, is available through synthetic lubrication and superior fuel additives. by removing engine deposits and improving the combustion of fuel. There is a high demand for all of our synthetic lubricants in Austin and Bastrop especially the Motorcycle, Diesel, outboard marine and two cycle products. We usually have what you need in stock but generally we ship from our distribution center. For your gasoline vehicle try our 100% full PAO Synthetics with our 25000 mile filters. You save gas and stop wasting money at other quick lube centers. As you look through the site please ask for your free AMSOIL catalog before leaving.With AMSOIL in gasoline engines you simply reach 25,000 miles or one year before draining your oil. 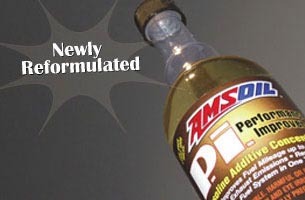 With gas prices so high in Wood county, AMSOIL has the solution. Add up to 9% to your mileage. You can normally reach 25,000 miles or one year before draining your oil. Our EA Series oil filters are guaranteed in gasoline engine applications for 25,000 miles or 1- year. So all you need is a case of oil and two oil filters to cover most vehicles for two years. 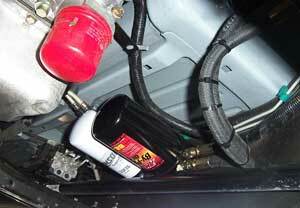 Don't forget the engine flush and a bottle of power foam to restore intake flow. Ask about the new Motorcycle oil study. If you are using Torco, Royal Purple or Motul you ought to see this. As you will see in this website AMSOIL produces the most energy efficient hydraulic and compressor oils available and a warranty as strong as steel. If you rely on industrial lubricants, we have what you need. We can assure you that our product offers the lowest cost per use available on the market. Texas demand for Amsoil has recently increased in the Austin area. There is a great need for AMSOIL dealers here and across the state, especially with ATVs, motorcycles and diesel engine owners. We are getting the word out! Austin traffic can be rough on cars and diesels but not with AMSOIL. Be utterly amazed when your car is just as efficient at 300,000 miles as it was at 20,000. AMSOIL is the only lubricant which lubricates w/o loss of viscosity. AMSOIL is real 100% synthetic - not those "Fully Synthetic" labeled highly refined petrol oils. Traveling on Hwy-71, people now have a convenient and easy place to access AMSOIL products. Just call us at the Austin, Round Rock or Bastrop, TX number Above. We proudly serve Austin as well. We can meet you half way or find AMSOIL right here on the highway. Any dealers interested will have a better than average opportunity to pick up on strong leads and grow their businesses if you join us. Ask for a copy of the AMSOIL Magazine or our group newsletter. Be sure to check out our Dealer page. result in no additional cost to vehicle operation.